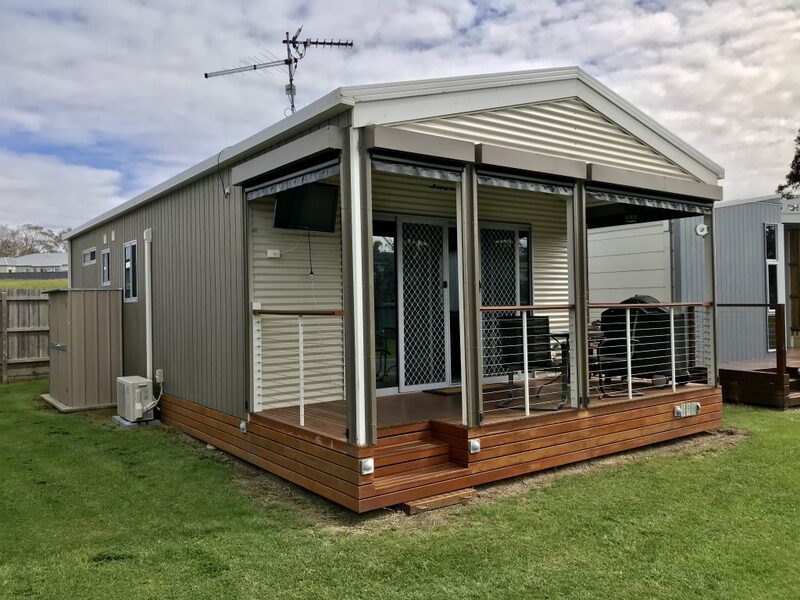 For sale is a spacious open plan Jayco Cabin in sought after area of the park. Purchased brand new 5 years ago. The site has plenty of space on each side with only two cabins neighbouring and a fence at the rear. Two bedrooms, main with queen size bed, second bedroom features two single bunks sleeping four. Great design with the shower and toilet seperated from the living area. No expense spared all windows and doors tinted, ceiling fans and deck with all weather blinds, Heating and Cooling for all year round comfort. Selling fully furnished. Bring the family and enjoy many years of quality holidays in a great loaction.